Real estate agents join the push for education funding in Pa. The fight to boost education funding brings lots of people together — teachers, superintendents, politicians. But advocates want to add another constituency to the mix: real estate agents. That’s the target audience of a new report by ReadyNation Pennsylvania, an advocacy group that wants to increase education funding. They argue Pennsylvania realtors would benefit from more education dollars because of the potential for increased home values. 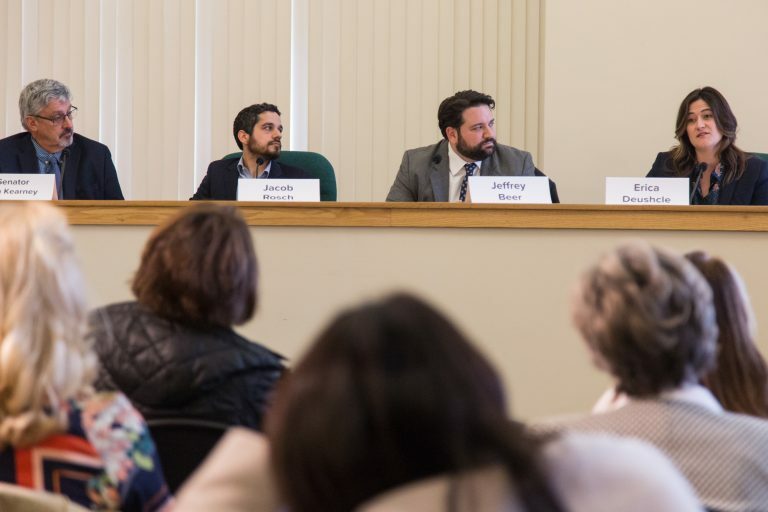 The release of the report coincided with a panel discussion in Delaware County, where local real estate agents met with Democratic politicians and education advocates. “Southeast Pennsylvania gets hits particularly hard by the inequities in state funding,” said Jamie Ridge, president of the Suburban Realtors Alliance, which represents real estate agents in the four collar counties surrounding Philadelphia. Ridge said his members have long been aware of the state funding mechanism — known as hold harmless — that has protected shrinking districts at the expense of others that have grown or have deep needs. That’s forced many in the Philadelphia suburbs to boost property taxes, he said. “The property value in those districts are negatively impacted because of the higher taxes,” he added. But his organization has only recently embraced the funding reform agenda, he said. “I hope that we’re raising our own members’ awareness of the situation and how important it is to advocate for more equitable funding in the state,” Ridge said. The new report by ReadyNation relies on existing analyses of the correlation between student test scores and home values. The report from ReadyNation argues that putting more money in education and routing more of those dollars through Pennsylvania’s student-weighted funding formula would boost test scores. Those improved test scores would in turn, the authors argue, increase home values. The Reinvestment Fund data cited by ReadyNation looked at districts that had already improved their test scores and did not determine whether extra money drove those improvements. But even if more money did drive improvements at districts across Southeastern Pennsylvania, would that create an advantage for home sales in individual districts? After all, if scores went up in lots of local school districts, prospective homeowners might still be faced with the same discrepancies among districts. 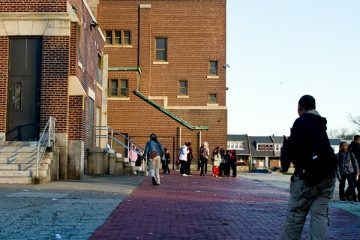 And there’s another potential pitfall: Increased investment could make low-performing districts more appealing. But would that improvement undercut the consumer competition that currently drives home prices in high-performing districts? The ReadyNation report argues for “greater long-term funding through the Fair Funding Formula,” a relatively recent state formula meant to give poor and growing districts a greater share of state funding. Many of the districts that benefit most from the new formula sit in the eastern side of the state — where, not coincidentally, state data shows that districts are most hard pressed by local taxes. When comparing residents’ tax “effort” with their “capacity” to pay, districts such as York, Harrisburg, East Stroudsburg, Chester-Upland, Southeast Delco, Pottstown, Jim Thorpe and Wilkes-Barre are considered among the most stressed. Right now only new state money goes through the formula, but many politicians in growing parts of Pennsylvania think the state should increase the share of dollars run through the formula — which would be a big boon for all of the districts mentioned above. Ridge of the Suburban Realtors Alliance agrees with those politicians. But could that redistribution create tension between Southeastern Pennsylvania realtors and their counterparts who work in shrinking school districts that benefit from the status quo? State Sen. Tim Kearney, D-Delaware, says the answer to that question is more money. 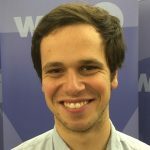 If the state put more dollars in public education, he said, Pennsylvania could give Southeastern Pennsylvania its fair share while cushioning the blow to depopulating parts of Western Pennsylvania. “We really need to adequately fund education and we’re talking about several billion dollars to really make that happen,” Kearney said. Raising billions more in education funding would be politically difficult, though, most likely requiring significant state tax hikes. 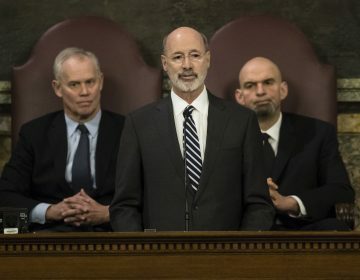 Governor Tom Wolf, a fellow Democrat, has secured over half a billion in new basic education funding during his four-year term. He’s asked for another $200 million boost this budget season. Legislators questioned the practical implications of the proposal, warning that it could cost more than the administration predicts. 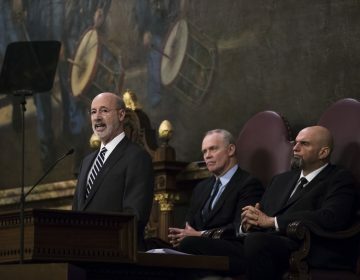 Wolf wants to boost the minimum teacher salary from $18,500 to $45,000, a move that mostly affects Pennsylvania's rural school districts. Pa. school districts say rising fixed costs are leading to property tax increases and cuts to programs.